Louis Drounau is the lead candidate in the European Parliament elections for Volt France. Andrew Duff is president of the Spinelli Group. We are also rediscovering the importance of democracy at the local level, through the use of new tools, such as social media and public engagement. We must now ensure a true European democracy. At the heart of European democracy is parliamentary government. It is therefore worrying that, some seventy years after the creation of the European Union, we continue without a proper democratic government at the European level. Without an effective EU government, European democracy will remain incomplete and citizens underrepresented. The European Union currently has a dual executive, made up of the Commission, which holds the monopoly on the initiation of laws, and of the European Council, which plays no formal legislative role but provides detailed and sometimes overbearing guidelines for the work of the Commission. Neither the Commission nor the Council is fully accountable to the European Parliament. European decisions relating to many key challenges, such as the budget and taxation, are either impossible, being left to national authorities, or held hostage by unanimity in the Council. With diverging demographics, economies and fiscal systems, EU states are sure to find something to disagree on. But parliamentary democracy does not mean all have to agree, but, rather, that all agree to manage disagreements equably together. At present, however, the EU system is basically a confederation of nation-states where the larger and richer member states inevitably wield almost all the power. 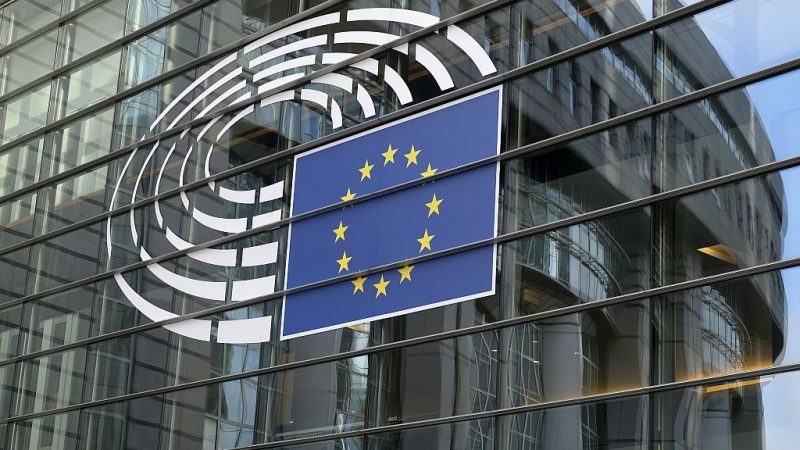 European Parliamentary elections are bedevilled by different national voting systems and the control of candidates and campaigns by national, not European political parties. Unsurprisingly the European Parliament is seen by the electorate as weak and distant. This “democratic deficit” has dogged the EU for decades. In light of the UK’s departure from the Union, the rise of nationalist parties, and growing social discontent, it is time to face up to this democratic problem, not with high-blown rhetoric but concrete measures. In his recent tribune, President Macron wants to engage with the EU citizen, but he does not elaborate on what has to be done to the EU institutions. Giving more power to Brussels without democratising institutions will only fuel resentment. He proposes yet another European conference, albeit adorned with citizens’ assemblies, but the problems are already well analysed and solutions clearly identified. What is lacking is the building of a reforming majority in the European Council. The EU has a choice. It can choose to give up on the integration experiment and return powers to the national level. Or it can accept the logic of European integration and work to address common problems by creating a democratic federal government for our new European polity. The appalling experience of Brexit suggests that nationalism is a false trail. At least, no other member state now wishes to join the UK in exile – and, indeed, several other European countries are still committed to joining the EU in time. Ten years after the Treaty of Lisbon, the EU is ripe for constitutional reform. This will involve the transfer of some competences from the national to the European level, for example in defence and taxation, as well as pooling a part of sovereign debt. These reforms, taken together, will strengthen our security, bolster the single market and consolidate the euro. In terms of institutions, executive powers should be centred on the Commission, not the Council. The European Parliament should have greater control over the legislative agenda of the Union. True European parties and transnational lists must be introduced in time for the 2024 elections. Decisions in the Council should be taken by majority vote and national vetoes must be suppressed. Our election is now two months away. The EU must show determination to make its own governance effective, and be held to the highest standards of democracy. Only a true parliamentary government at the European level will ensure the engagement of citizens. This, beyond an over-simplified polarisation between “Europeans” and “nationalists”, is what this election is about.